So if you're new around here and haven't heard, I MADE A ZINE! Nice one! Wait, what's that? Zine: magazine; especially : some sort of homemade publication usually devoted to specialised and often unconventional subject matter. A means of telling one's story, sharing thoughts or artwork. 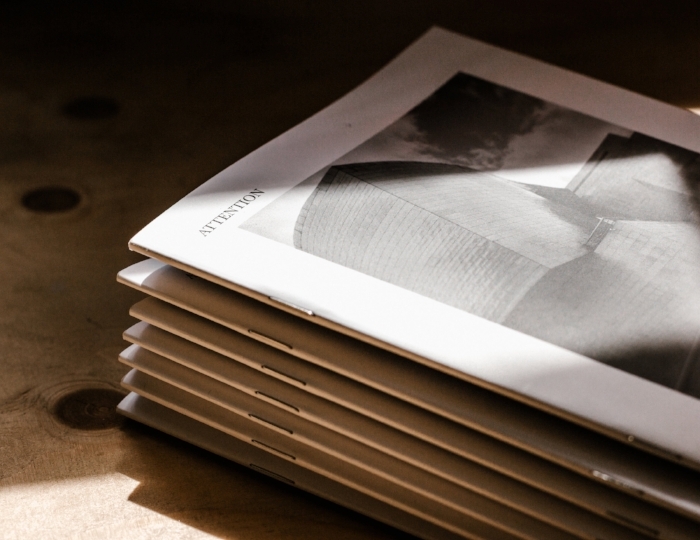 Because zines do not have any corporate backing they are very rugged, individualised, and much more charismatic than larger popular magazines whose content is often dictated by their advertisers. Enough with the self-promo... WHY MAKE A ZINE? I love taking, editing and posting photos online, but often find an incongruence with how much thought goes into creating an image versus how little time is spent taking it in. With a turbulent digital space of shifting algorithms and trending styles, I wanted to create a tangible home for my photographs, something I really felt to have WORKED on. 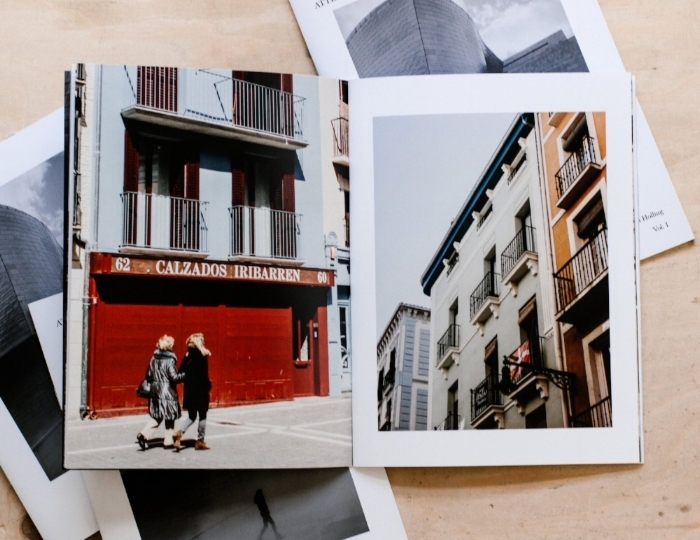 Zines, with their low cost of production, seemed the perfect place to start. Many artists I admire self-publish physical artefacts of their creative expression (links below at the end of the post! ), inspiring me to start an intentional project of my own. While leagues away from the Henri Cartier-Bresson books of the world, I have fallen in love with the process of making ATTENTION and am going to continue pushing myself, learning and experimenting with new mediums. Sound up your alley? After this experience I'm encouraging others to print their work, whatever it may be. You can put legit ANYTHING in a zine. ART HAS NO RULES, DUH! If you aren't sure where to start, here's the process I went through. It's not perfectly refined but hey, worked for me. 1. Be clear on your motivation. A bigger project is going to take time. 2. What is your product about? Is there a theme tying your work together? To be absolutely honest, the photos I took in Spain are not my favourite collection of images. The weather was grumpy and my best lens broke a week into the trip, but I wanted the first volume to be cohesive, so collecting it around the recent Spain trip seemed sensible. Despite initial doubt, I'm still incredibly pleased with how it's turned out. 3. Decide on your method of production. Old-school zines were created by hand & photocopied, but if you're making something digital you'll probably want professional printing. I used MIXAM, a UK service that was affordable, easy to get quotes from, and quick with production. They mailed me paper samples and free 8 page test copies, where all I had to pay was the price of delivery. Pretty neat. Their site makes it easy to upload and arrange your pdf files, and I've had no issues with the quality of the final product. Will most likely be using them again #notsponseredbutifmixamwantstosponsermeplzhitmeupletscollab. 4. Choose your content. Be selective about what you include, why you include it and how you organise your work. The sequencing of your images / words / designs can be purposefully manipulated to enhance the impact of individual pages, something I had lots of fun experimenting with. To create the actual layout / design I used PAGES, the free Mac app. It's amateur, but as someone who hasn't invested in Adobe InDesign yet, it was accessible and intuitive enough to create what I needed. I would recommend using InDesign if you have access, but PAGES did the skeleton job for me, so it's there if you don't have a better option. Next time I'll experiment with more with Photoshop, and will probably purchase InDesign to create more possibilities for future zines. How initial layout planning began. The mystical design process... humbled. 5. Getting your work produced. What kind of paper are you using? What size will they be? How many copies do you want made? This stuff matters! Before submitting your artwork to be printed, make sure everything looks the way you want. No backsies once you submit. 6. Wooo, they're in production! Sit back, relax, and hope you didn't miss any typos. 7. Yay, your work has arrived! Fawn over your creation. Annoy your friends by carrying a copy with you everywhere you go. HAVE Y'ALL SEEN THIS THING I MADE? 8. What are you doing with them? Have you made a few copies just for family & friends? Gifts? Are you going to sell them? If yes, think about how much to charge, what price would ensure you make back the production costs (and perhaps profit, but this shouldn't be the end goal or indicator of success), and how to market them. You'll need to set up an online store for people to purchase them, either through a site like ETSY or your own website. Or head to an old school zine fair! Retro. 9. Get them out to the world! Other people enjoying your work is the coolest thing. That's my completely transparent zine making process. If you have any questions / want advice, feel free to leave a comment or flick me an email. I'm very proud of this little body of work and know it will be the first of many. Vol I has been an experiment more than anything, and I'm confident they're only going to get better. My eventual goal is to create a 100 page coffee table book full of my best work, but you need to start somewhere. If you have work living in the digital world and are thinking of giving it a physical presence, I 100000% encourage you to dive into print. Word of warning though, don't do it for profit as an end goal. Of course profit is a great plus - money isn't evil - but isn't it better to create something personal because YOU want to? After going through the whole process, I think I'd be happy even if I never sold a copy.